Directors Haibo and Kiki Tianqi Yu, the father-daughter team, followed one of the painters, Xiaoyong Zhao. 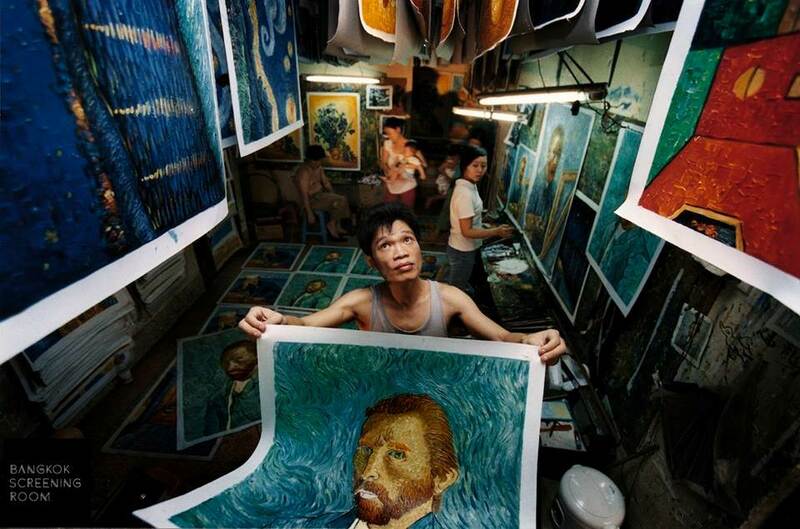 He and his family have painted around 100,000 Van Goghs. After all these years, Zhao feels a deep affinity with Van Gogh. Having never seen van Gogh’s original paintings, Zhao’s biggest dream is to travel to Amsterdam to see the works of his legendary associate. After struggling and saving, he fulfils dream. In Europe, his encounter with van Gogh’s paintings brings an epiphany. Although dejected at the revelation, Zhao is inspired by van Gogh’s paintings and the hardships he suffered, and resolves to dedicate himself to his own original art, searching for his own authentic voice in order to be true to the spirit of his hero and mentor – Vincent Van Gogh. China’s van Goghs not only presents how this painter pursues his dream, but also tells the human story of challenge and struggle during the journey, emblematic of the journey that China is going through from ‘made in China’ to ‘Created in China’.